Please note: Applications for research proposals are closed until late 2018. The DCVAS database provides a valuable resource for further research questions into vasculitis. Research proposals are welcome from contributors to the study. 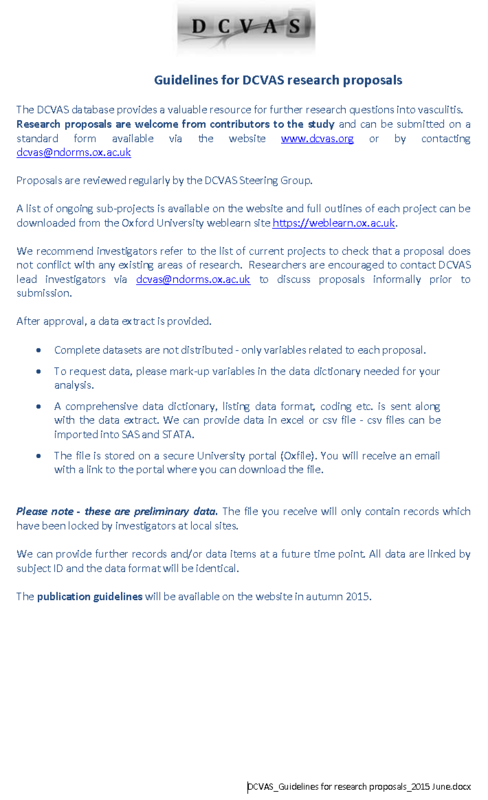 Researchers are encouraged to contact DCVAS lead investigators to discuss proposals informally prior to submission. Please refer to the list of ongoing sub-projects. 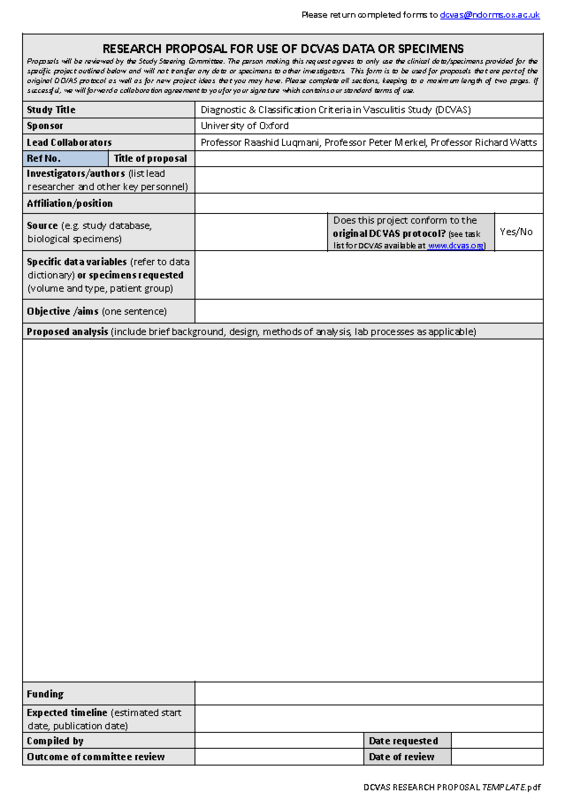 Full outlines of each project can be downloaded from the Oxford University weblearn site.